I’m rather wary of poetry but this ‘pedagogical moment’ by Emily Dickinson suggested by MOOCMOOC seemed less than scary. It’s short, reads well and actually rhymes, so perhaps it’s comprehensible fodder for the poetically challenged. My powers of analysis reach only as far as trying to find out what it’s about. With some help from Wikipedia, raw googling and my nearest and dearest, I equate: Prison = School, Mob = Children and “only Afternoon” refers to Saturday afternoons when 19th century schools closed down for the day. I’m not too clear about Frowns and Foe though. Who’s doing the frowning and who’s the Foe? First, I think it’s the frowning teachers treating the kids as foes to be subdued and conquered but then the “lie in wait” suggests something rather longer term; so I really don’t know. Perhaps Emily intended the uncertainty or perhaps I’m so poetically challenged that something pretty obvious has escaped me. As a schoolboy I didn’t appreciate the value and validity of different interpretations when it came to poetry and suffered humiliation by the class intellectual (for liking the ‘Lady of Shallott’!) Some anxiety still remains about getting it right assuming there is a ‘right’. 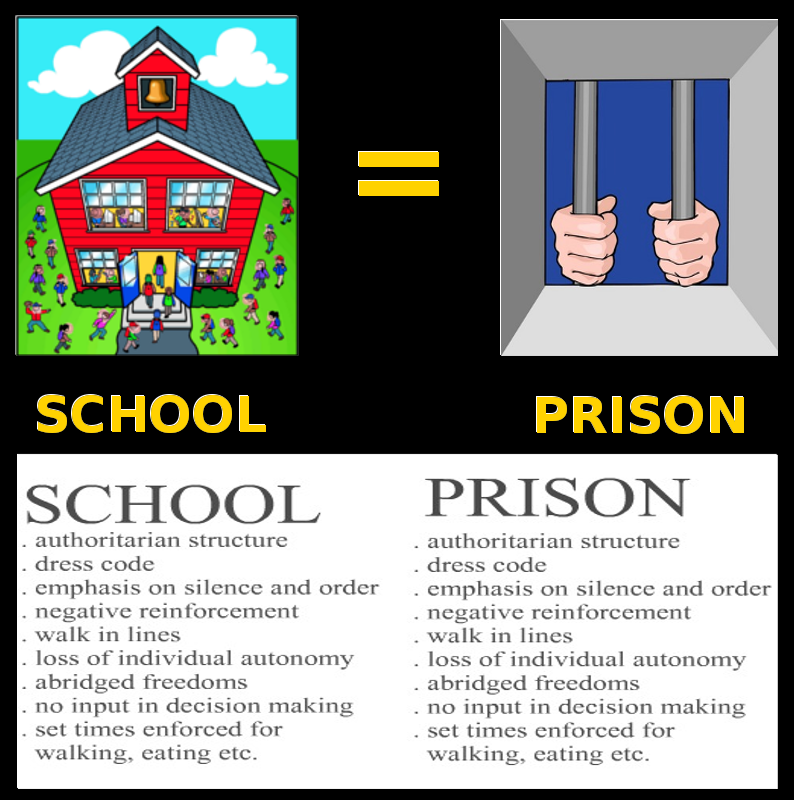 At all stages of my formal education solid barriers were created and maintained between teacher and pupil, professor and student – jailer and jailed? I don’t think I viewed school as a prison but certainly ‘playtimes’ at school and the social aspects surrounding formal education were often far more memorable and instructive than the ‘lessons’ themselves. I think that one of the best things about MOOCs is their potential to break down these barriers and smooth over the perceived gap between learners and the so-called learned. cMOOCs are supposed to do this anyway but so can the larger xMOOCs, at least to some extent, for those who dare enter the mammoth discussion forums. I’ve been pleasantly surprised to find some xMOOC professors willing to engage with forum participants and deal patiently and diplomatically with all sorts of questions, even admitting to learning things themselves! Best of all, some advanced learners with no formal connection to the xMOOC are willing to assist others and, in contrast with the inadequate sprinklings of formal teaching assistants, their numbers tend to scale with the size of the MOOC. This can make a big difference, particularly in STEM areas where hordes of participants can grind to a halt at any point as they plod their way through basic linear material. Though the quality of informal advice can be variable and not all advanced learners are patient and diplomatic, their contribution to xMOOC success is probably more significant than the xMOOC providers are prepared to admit. I hesitate to update Emily Dickinson’s excellent poem for the age of MOOCs but having already done so for T S Eliot, I am compelled by the muse. To all the MOOCs the Girls and Boys (with apologies to Emily Dickinson). Love this poem. I wish that I’d had this (and this wonderful post) last year when I was on our online task force, grappling with the MOOC problem. Thank you. Lovely poem, and lovely to see you again. To bring an End to this. Thanks Tanya. Just read your excellent ‘CRITICAL PEDAGOGY MEETS YEAR 9 …’ again. I find accounts of real life teaching more engaging and instructive than much of the theory and suspect that many ‘ordinary’ teachers would find this too. I wonder if anyone is collecting together this sort of material in any way?